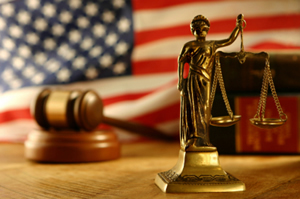 A jury verdict of guilty or an unlawful criminal sentence can be corrected through an appeal. A federal criminal case is not necessarily over when the defendant is convicted and sentenced; in circumstances where the District Court made an error of law or imposed an unreasonable sentence, the case can be heard by the Third Circuit Court of Appeals. When a conviction or sentence is not based on adequate evidence or involves a misapplication of the law, the Third Circuit Court of Appeals has the authority to overturn the conviction, reduce the sentence, or send the case back to the trial court for reconsideration of the issues. Raising an appeal in the Third Circuit is an intricate process in which the assistance of an experienced attorney is crucial. After graduating from Harvard Law School, Jack Meyerson began his legal career as an assistant United States Attorney and a Special Trial Attorney with the Department of Justice. When Mr. Meyerson opened his own law firm, he drew from his significant experience as a prosecutor in reshaping his practice to focus on criminal defense. Mr. Meyerson has represented criminal defendants in matters ranging from white collar prosecutions to drug arrests in the Federal District Courts and before the Third and Ninth Circuit Court of Appeals. If you or someone you know was convicted of a crime and sentenced to prison, it is prudent to have an experienced criminal appeals attorney review the case for error. Jack Meyerson and the attorneys at Meyerson & O’Neill are skilled, knowledgeable advocates who can help ensure that your legal rights are exercised to their full extent. Please contact our office for a free and confidential consultation by filling out the online intake form or calling us at (215) 972-1376 (ext. 2).